Clear Creek Park is a family friendly community that is located in the heart of Pearland. 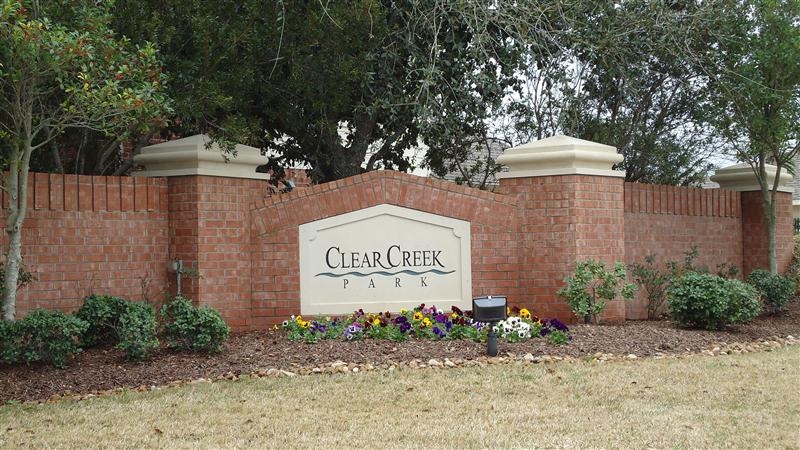 Clear Creek Park has two well landscaped entrances off of Pearland Parkway just minutes away from Beltway 8. The brick entrances are well lit at night for safety and curb appeal. The residence pride is evident in the landscaping and presentation of their homes throughout the neighborhood. There is a large variety in the floor-plans in the homes offered in the neighborhood with differences in square footage, amenities, as well as detached/attached garages. This neighborhood is family friendly and convenient for those commuting for work. Clear Creek Park is also strategically located to lots of great shopping. There are several strip centers established on Pearland Parkway offering great convenience and a variety of business. Selling your home in Clear Creek Park? Click here.